Four beings manifest in an internal theatrical space. The music has been approached through archetype rather than narrative. There are no illustrative stories to be dramatised – the theatre lies only in the play of energy. I GARUDA A creature drawn from the Vedas, half man and half bird, he is the vehicle for Vishnu, preserver of the Universe. This inspired a Ritornello form in which opening music for a string sextet fans out to the rest of the ensemble and enfolds a dramatic episode. II UROBORUS An ancient European symbol of a coiled serpent eating its own tail, it denotes renewal and self-sustenance. The music is cast on a symmetrical fixed-pitch grid and unfolds over a gigantic polyrhythm of six against seven. Over this circular apparatus appear several epiphanies that delineate empty spaces for meditation. III ELEPHANT comes from legends surrounding the Buddha’s birth. Queen Maya had dream in which she saw a magnificent white elephant with six tusks enter her womb. The dream was interpreted by wise men as foretelling the birth of either a great leader or a great Teacher. As we know, her son Prince Siddharth was destined to become the Buddha. IV THE SIMURGH The image of this Bird of Paradise is drawn from that gem of Sufi literature The Conference of the Birds by the Medieval poet Farid ud-Din Attar in which he describes the journey of the mortal birds to meet the great Simurgh. When the mortal birds reach the journey’s end they behold a shimmering mirror of light in which they see themselves reflected. It is a moment of self realisation. Despite occasional concerns about the whereabouts of the Emperor’s new clothes in other parts of its programme, Birmingham Contemporary Music Group unveiled another of its brilliant “Sound Investment” commissions on Tuesday. Param Vir’s The Theatre of Magical Beings, a substantial four-movement quasi-symphony, conveys strong images of archetypal beings from various cultures in vivid, cinematic statements. Though there is no narrative element, Vir’s pictorial sound-world, the product of a cultured aural memory so accurately expressed on the page, pack a powerful communicative punch. Teeming strings open “Garuda”, other instruments in the sizeable ensemble joining in gradually, biting brass to the fore. “Uroborus” has an appropriately serpentine feel with its slithering, intertwining strings and seductively-echoed warmly romantic horn sounds. “Elephant” celebrates the birth of the Buddha with delightful brayings and trumpetings and “The Simurgh” gradually moves towards a reflection of the very opening, busy percussion (two players, stereophonically placed) and piano now adding a seasoning of Messiaen to the original flavours of Tippett and Bartok. With this piece Vir announces an important voice proud to make use of past models; perhaps this is a major feature of the best contemporary music (it was certainly true of Stravinsky, whose neo-“Brandenburg” Dumbarton Oaks Concerto brought the evening to a triumphant, coolly invigorating conclusion). More than 50 supporters contributed a share in the commissioning of The Theatre of Magical Beings; they have the possibility of following it during the next few days on BCMG’s gruelling tour around the country. Last night was Manchester, tonight Durham, tomorrow York, Saturday Shrewsbury (Christ Church, Bayston Hill), finishing Sunday in Oxford. Once cannot overpraise the dedication and stamina, as well as the impressive quality of these players, undertaking such an enterprise, and delivering, several times over, such adept performances under the awesomely authoritative beat of conductor Susanna Malkki. The programme also boasts a UK premiere, with Magnus Lindberg’s own expert orchestration for chamber ensemble of his six Jubilees. Originally for piano solo, these fleet individual statements emerge as sonorously sculpted here, and make their own points without need of the gobbledygook programme-note. David Sawer’s Tiroirs, jokily chaplinesque (plenty of slapsticks) filled a few empty minutes happily enough, the best thing about it being its perhaps unintended employment of Stackhausen’s Moment-form. Takemitsu’s Rain Coming reinforced my suspicion that this composer, relying here upon Debussyan timbres mixed with early Schoenberg gestures and not adding much to the mixture, is perhaps ripe for reappraisal. An opportunity to celebrate multiculturalism has never been more welcome. Anglo-Indian composer Param Vir has successfully fused Western and Eastern cultures together in his brilliant new work The Theatre of Magical Beings. Not concerned with conventional theatre, it inhabits an interior theatrical space where something magical is revealed and contains internalised encounters with four archetypal mythological beings. There are no narratives, rather a vivid and potent image of the energy generated by these four archetypes. The first movement, “Garuda”, is inspired by a half man, half bird creature from the Vedas. The opening string sextet juxtaposes intense activity with moments of introspective stasis, a microcosm of the piece as a whole. It develops into an ecstatically affirmative celebration, recalling Tippett and Messiaen in its joy and exuberance. The second movement is named after Uroborus, the ancient European symbol of a coiled serpent eating its own tail, denoting renewal and self-reliance. Slithery glissandi conjure up images of the writhing serpent, while a beautiful oboe line irradiates the score. “Uroborus” is a completely symmetrical structure, paying tribute to the complexities of Indian classical music, precluding neither beauty nor clarity. “Elephant” comes from legends surrounding the Buddha’s birth. This movement is the most powerful and physical of all, Vir using it to emphasise the nobility and majesty of the animal. It is a world away from the low comedy of Stravinsky’s Circus Polka ballet and lumbering double basses à la Saint-Saëns. The final section, launched and resolved by percussion, is named “The Simurgh”, after a mystical, griffin-like bird of paradise. According to the Sufi poem The Conference of the Birds, when mortal fliers reach the end of their search for the Simurgh, they see a shimmering mirror of light reflecting themselves – a powerful image of self-realisation. Achieving this musically, two percussionists are positioned at either side of the stage, triggering one another antiphonally and hurling ideas across the musical spaces to thrilling effect. Written for and premiered by the Birmingham Contemporary Music Group, The Theatre of Magical Beings is one of the group’s most ambitious achievements, 25 minutes long and requiring 25 players. Unusually for a contemporary work, the string section lies at the heart of the ensemble and Vir writes especially inventively for them, creating a wealth of exciting sonorities. The lower end of the score’s register is subtly enhanced by the addition of a contrabass clarinet. Unquestionably one of the finest international new music ensembles currently before the public, the BCMG plays superbly well in this virtuosic and hugely enjoyable, life-affirming work. The conductor Susanna Mälkki maintains a firm architectural grip, while giving the players freedom to savour the score’s many poetic and colourful touches. This is a major triumph for the composer and the Birmingham players, whose Sound Investment scheme continues to enrich the repertoire. New work is the lifeblood that keeps art beating; and by and large audiences thrive on it. Classical music, though, finds it difficult to attract people to new pieces. Birmingham Contemporary Music Group (BCMG) has devised a surprisingly simple formula for keeping its audiences interested: it makes them pay for new works. And they do, over and over again, as part of the ensemble’s Sound Investment project. This is a straightforward “take the money and run” scheme: run, that is, to the composer and hand over the money to help pay for the new work to be written. The investors get their name in the published score and in the programme; they attend rehearsals; and they eventually see the work premiered. For many of them, it doesn’t stop there. They actually follow “their” piece around: when I saw BCMG play Mark-Anthony Turnage’s The Torn Fields in Berlin last September, a dozen Sound Investors had travelled to see the performance. 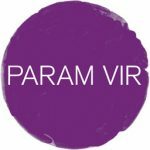 The latest work to be thus Soundly Invested is Param Vir’s The Theatre of Magical Beings, and at its premiere last Tuesday, that entirely healthy proprietorial interest was plain to see. The risk might be that a composer writes down to his patrons, but Vir’s piece is not simple or formulaic; it communicates by aural seduction. The composer provides an elaborate note, linking each of the four movements to ancient myth: the self-consuming serpent. Uroborus, the birth of the Buddha and so on. For once, I found the associations too specific, more hindrance than help; as Vir writes: “The music has not been approached through narrative.” He set things in motion with agitated rustling from a string sextet that quickly infected the rest of the strings, and then the winds. A thunderous percussion episode set up a vigorous momentum, quickly curtailed before it became dogmatic. The second movement grew from slow double-bass glissandos, answered by a brief but haunting oboe melody, the mood quickly picked up by the flute. This was the “Uroborus” movement, and the string glissandos might somehow represent a serpentine slither, but as the music slid into silence, submission to its woozy charms required no such pictorialism. The short third movement played with sonic contrasts, between silvery vibraphone and low percussion, between flute and bass clarinet; while the final movement took off from a clattering confrontation between the two percussionists, eventually resolved through the emollient efforts of the piano. The footstomping that greeted the composer’s bow showed that his listeners felt their investment, of money, interest and attention, had been amply repaid. The players too, seemed to have enjoyed themselves, responding alertly to conductor Susanna Malkki’s absolutely clear direction. The rest of the programme fitted well around this world premiere. David Sawer’s Tiroirs ticked mischievously towards something like minimalism, but always retained its own distinct sense of rhythmic life; while Toru Takemitsu’s Rain Coming revealed the composer’s textural subtlety at its most delicate. Magnus Lindberg’s Jubilees permutated familiar gestures to telling effect, even finding room for a genuine slow movement, a most unfamiliar device for this composer. The evening closed with Stravinsky’s Dumbarton Oaks, in which Malkki located something ominous, even aggressive in what can all too easily become an undemanding listen. She is a conductor to watch, and this ideally varied programme shows her, and BCMG at their best. Thought I could switch off when Stravinsky’s Dumbarton Oaks concerto arrived. After most of a testing concert the ears needed a rest, but the masterful young Finnish conductor Susanna Mälkki didn’t provide it. Down and sideways chopped the arms, lethal as a scythe, putting a spring in every rhythm, inspiring the Birmingham Contemporary Music Group to excel. It had been like that all night. Here were contemporary scores that would make other musicians crumple. But Mälkki and her players, embarking upon a week’s tour, kept a firm grip on every glissando, drum thwack or brass seizure. The most difficult customer was Param Vir’s The Theatre of Magical Beings, the latest fruit of the BCMG’s excellent Sound Investment scheme, whereby punters invest £100 and upwards in a commissioned piece and then sit back to watch the notes fly. And what notes they were. They slithered out from slippery strings, or rained down from antiphonal percussionists, one of them armed, according to the score, with “anvil (section of railway track)”. So that’s why my train was late. 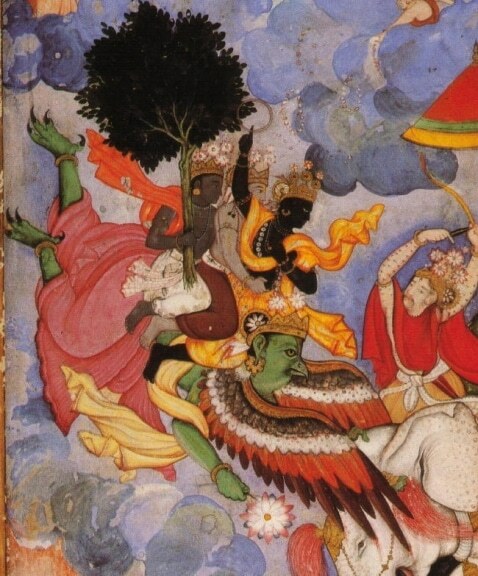 Behind the swirling sounds inside Vir’s head lay four creatures from Indian myths. But seekers after the descriptive were sunk: distant cries of the Messiaen bird apart, Vir’s score only made sense as an architectural and theatrical space, 30 minutes wide, where sound textures ran free. An extraordinary new work, dazzlingly well performed. Vir’s piece floated in the air with little apparent structural support. Two others made a point of showing their joins. David Sawer’s delicious Tiroirs of 1997, inspired by the linguistic games of the French writer Raymond Roussel, chopped and changed its rhythmic and melodic cells to a point close to frenzy — an ideal concert opener. Then, after the muted aquatics of Takemitsu’s Rain Coming, Magnus Lindberg and the British premiere of Jubilees arrived. Originally a piano suite, the work now wears orchestral clothes, moving from complex gestures towards brass-dominated chorales. Lindberg’s famous Dionysian punch was missing; but Mälkki’s troops still gave these six brief pieces their all. The tour hops daily around the country: Durham tonight, then York, Bayston Hill, Shropshire, and Oxford.